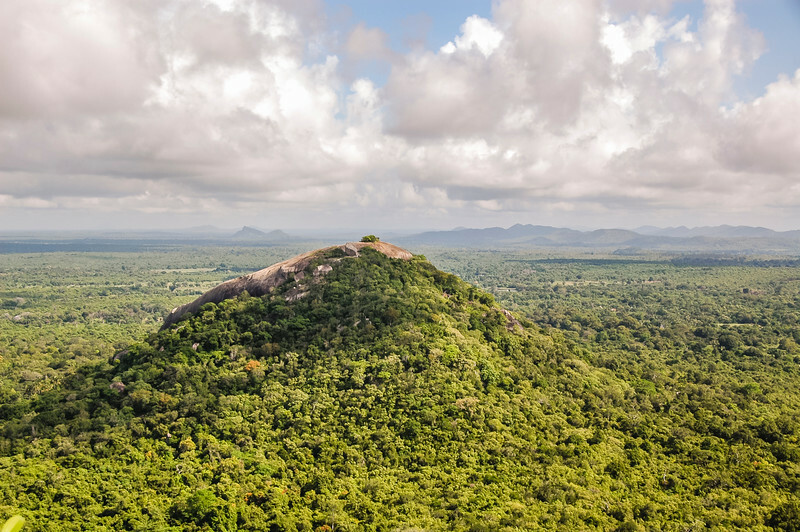 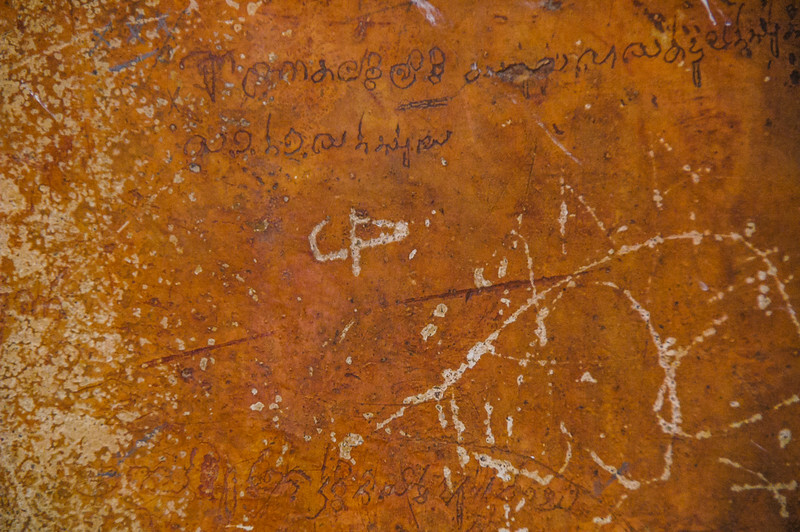 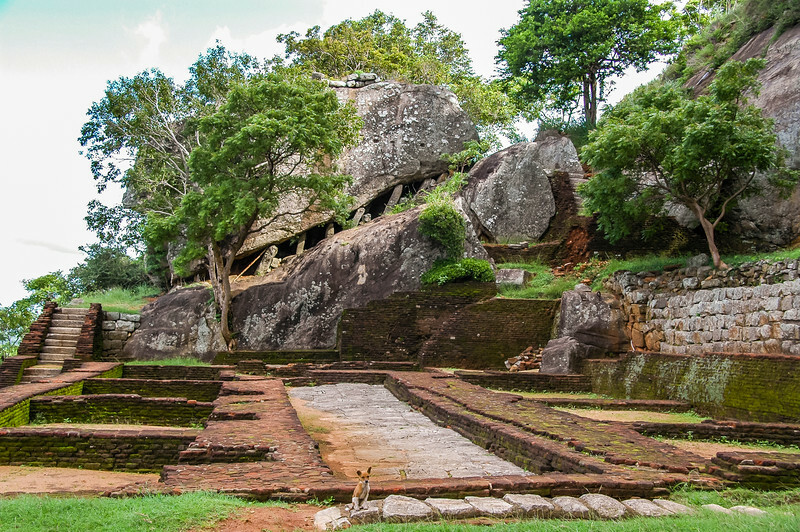 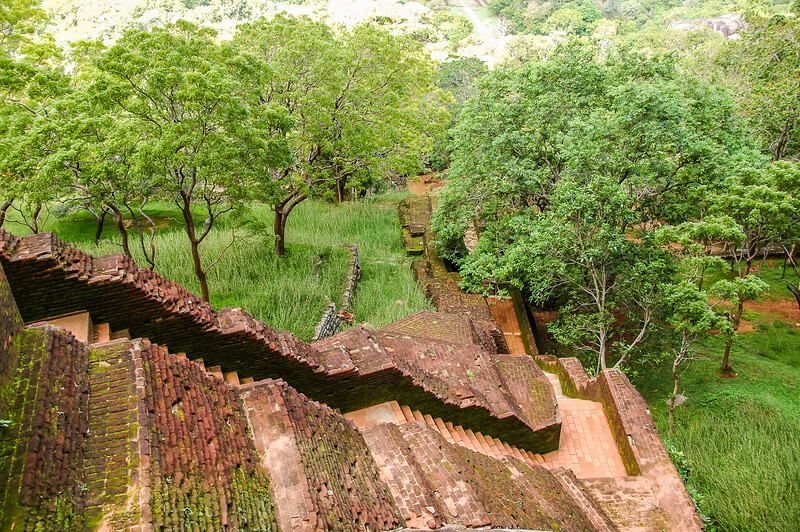 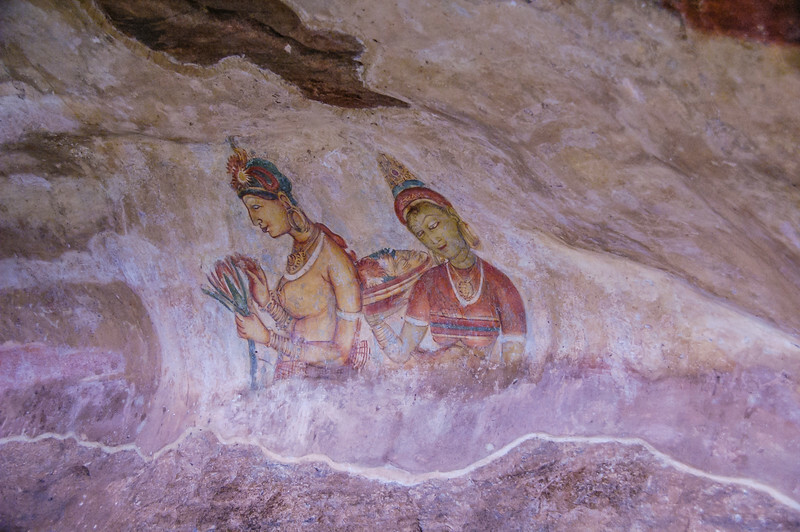 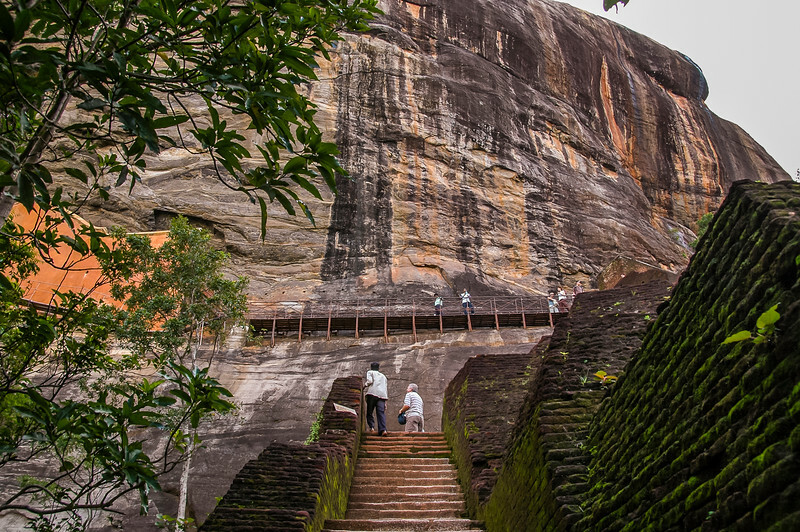 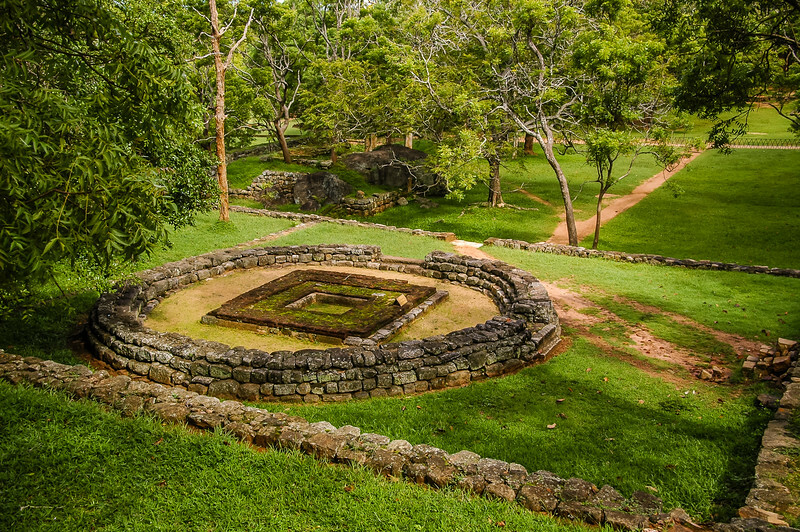 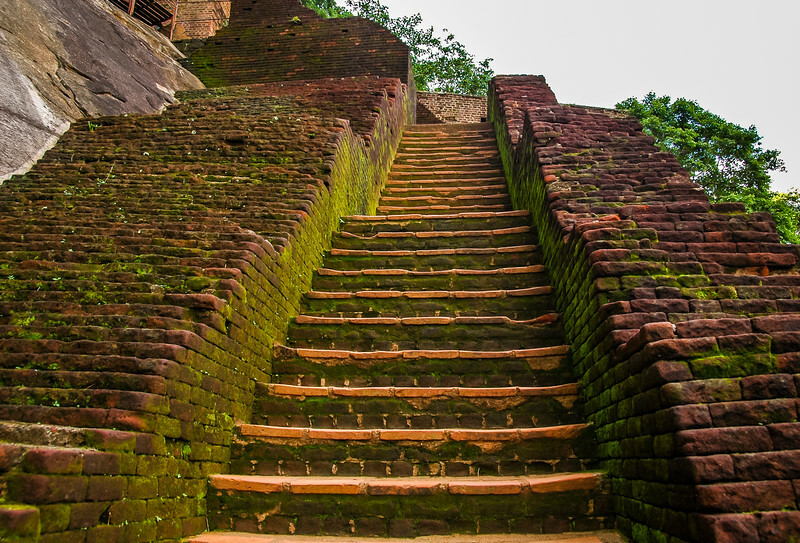 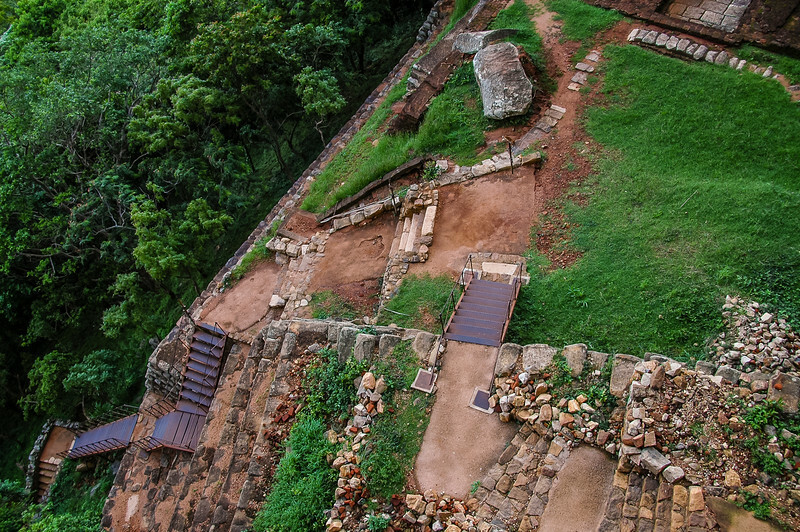 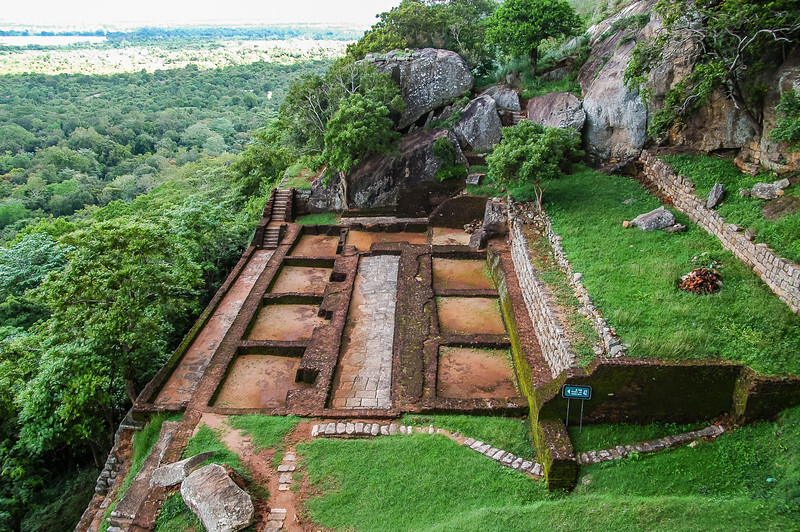 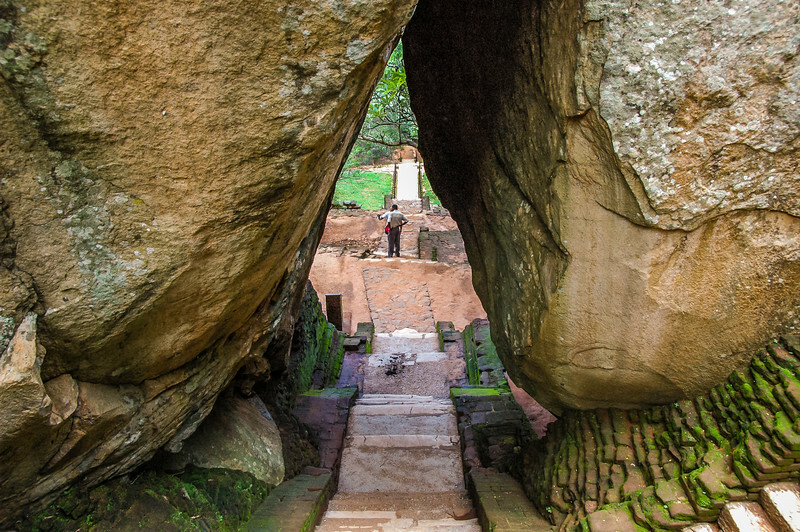 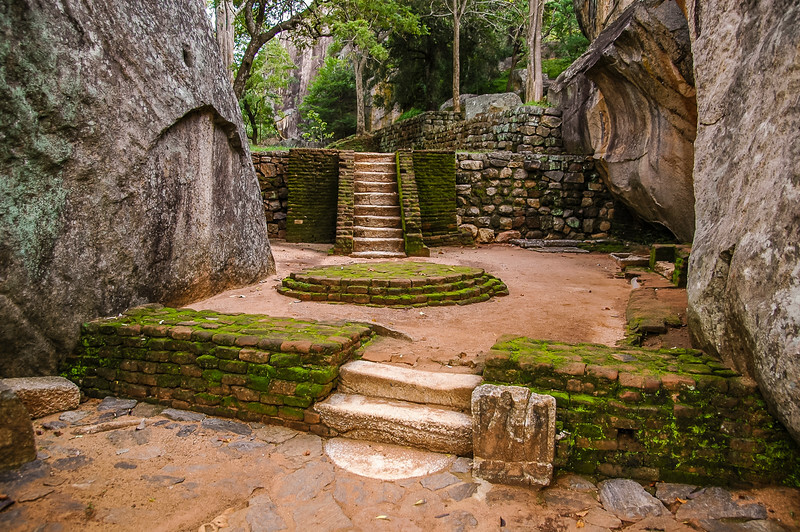 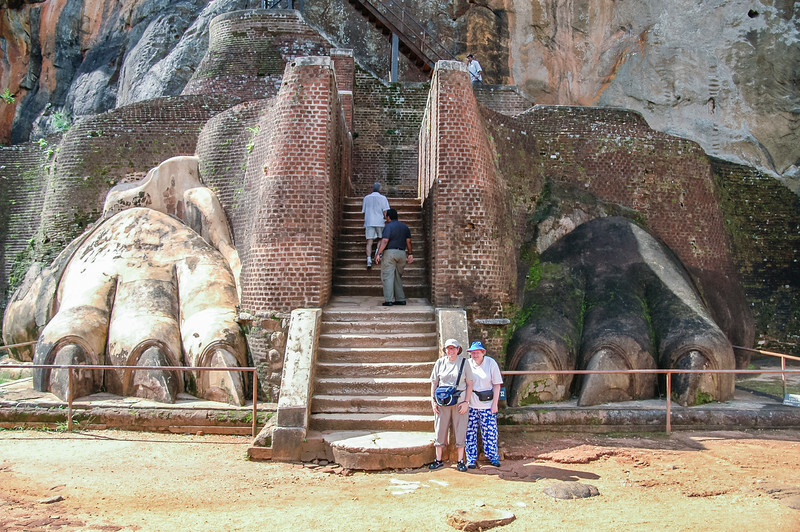 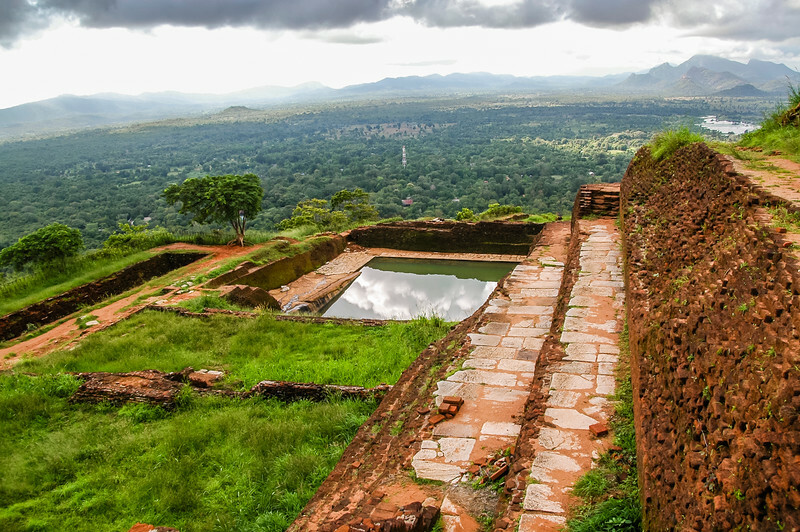 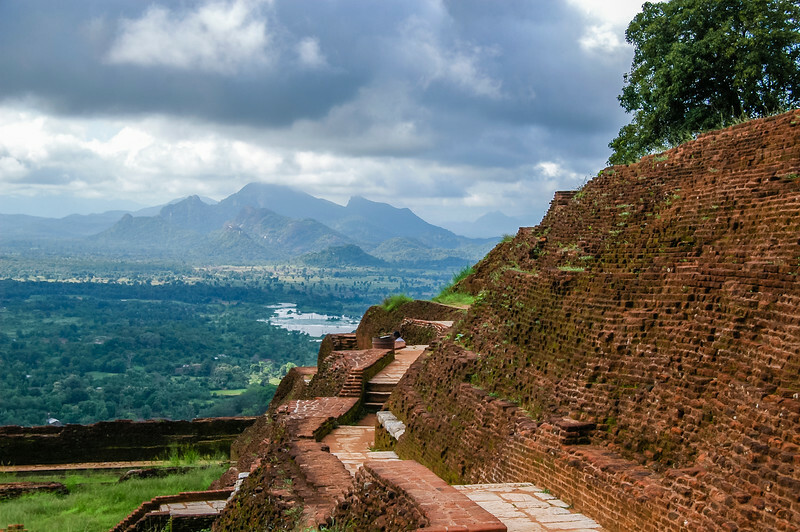 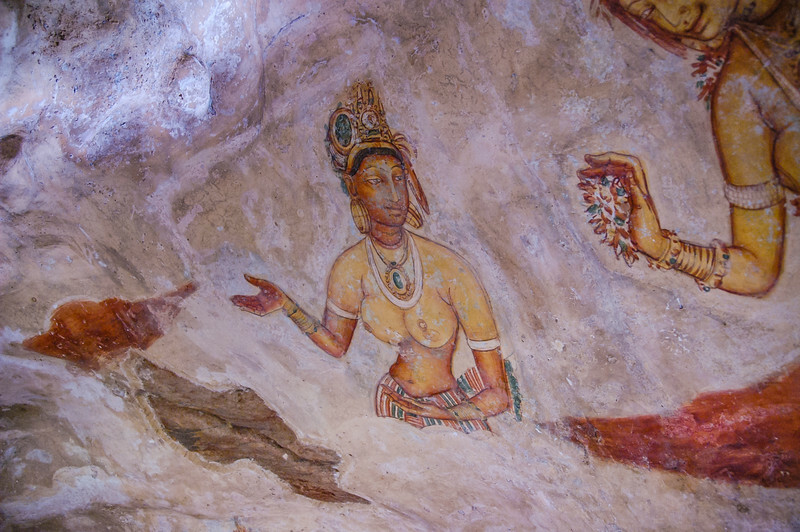 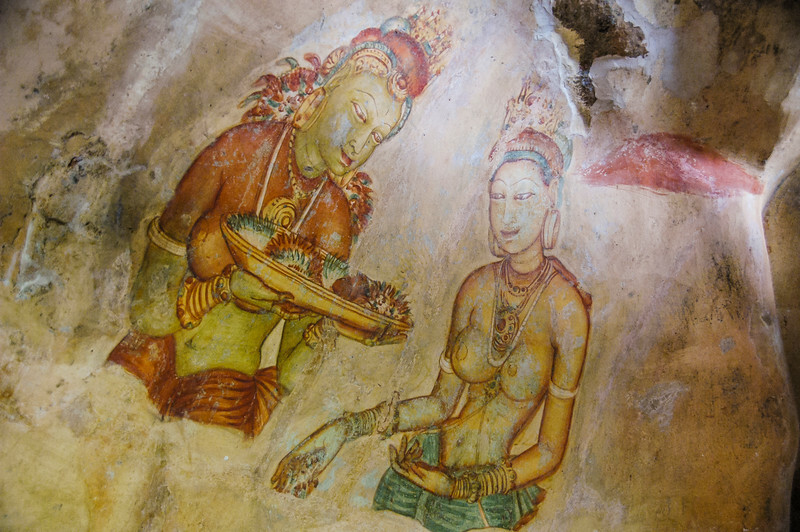 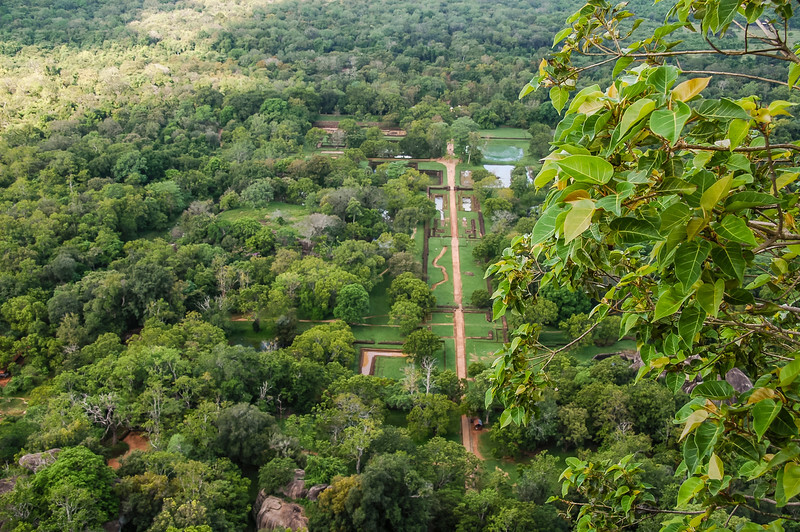 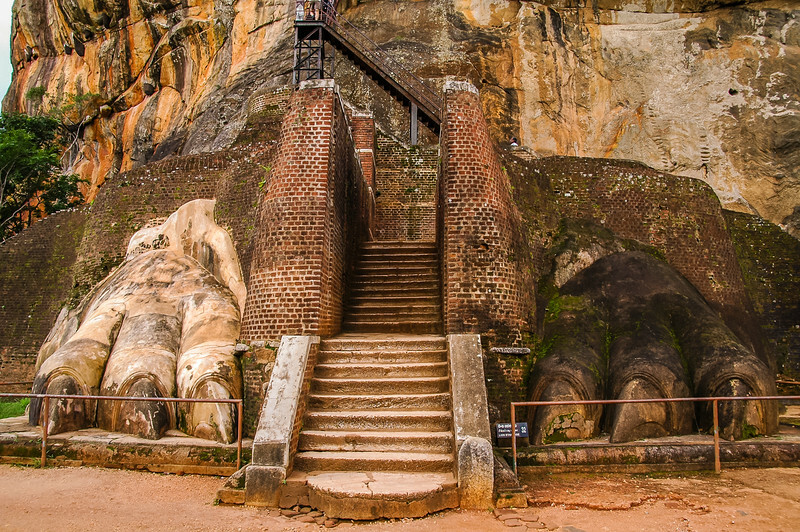 Sigiriya comes into existence after King Dhatusena I (459-477 A.D.) at the first capital Anuradhapura is murdered by his son, Prince Kasyapa. 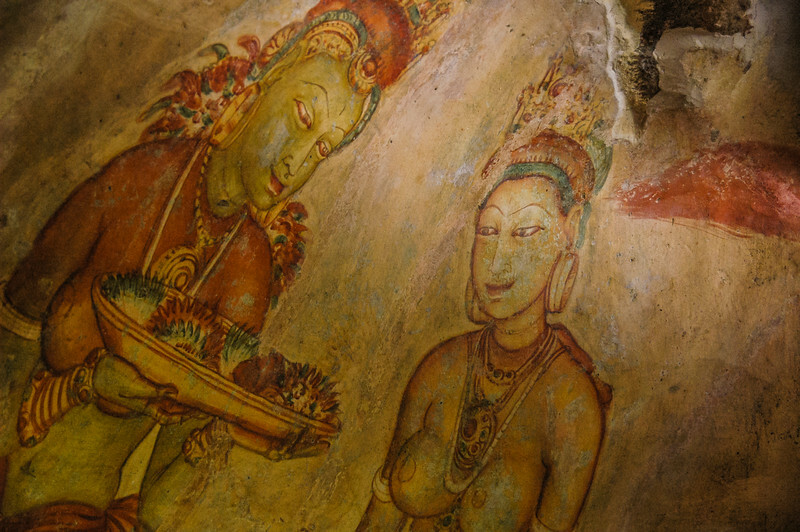 The guide tells us the story thus, the Prince tells his father he wants the throne and one day his father brings him to a field, picks up sand and lets it run through his hands while telling Kasyapa that he is getting nothing. 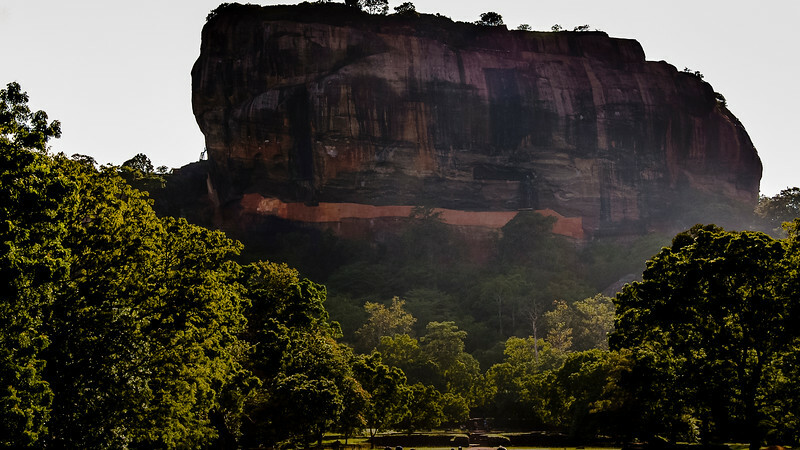 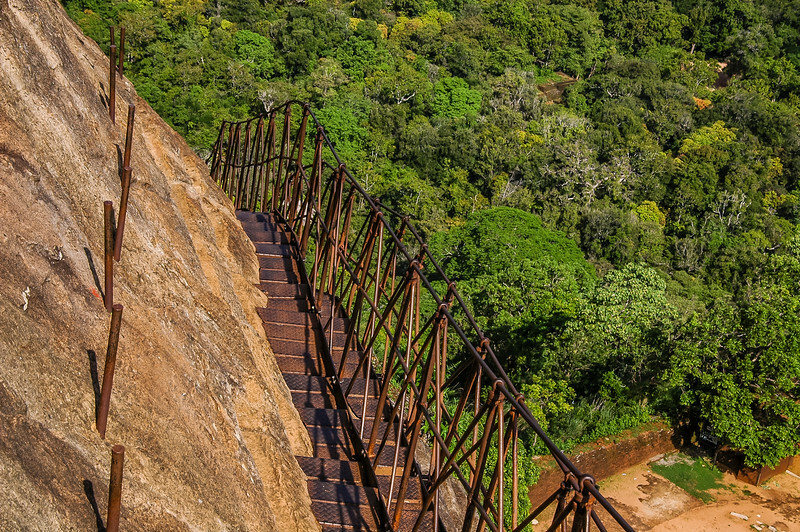 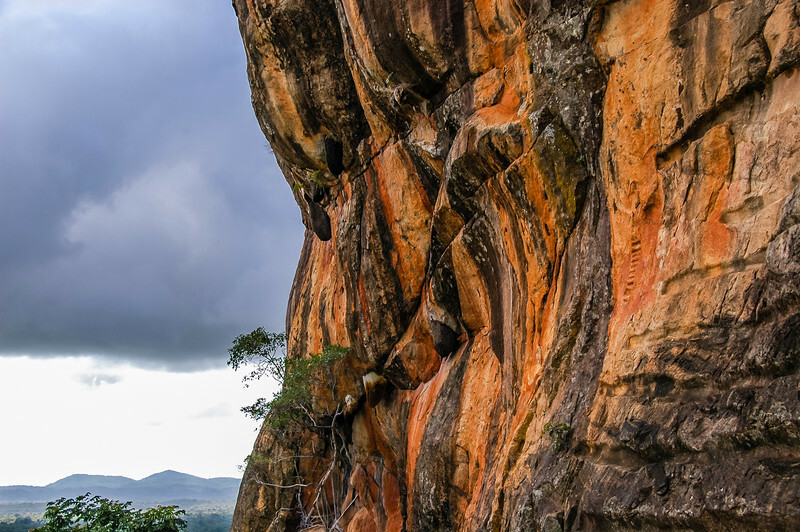 The prince kills him then and there and escapes to Sigiriya and builds his own kingdom. 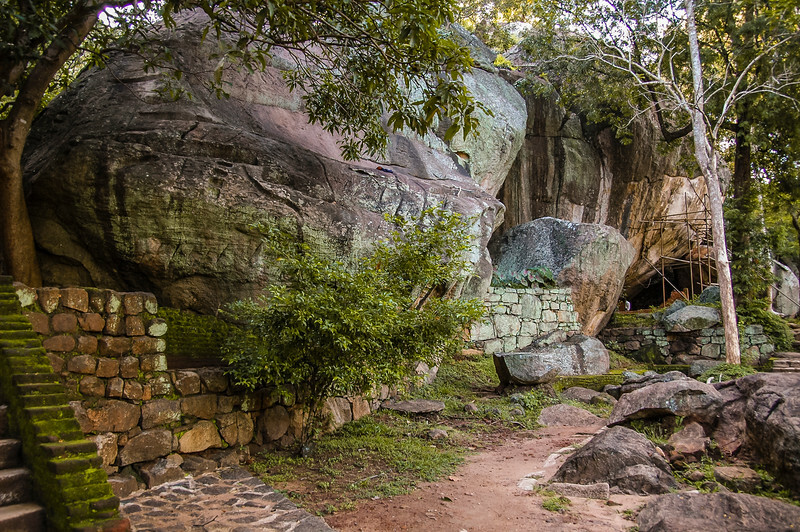 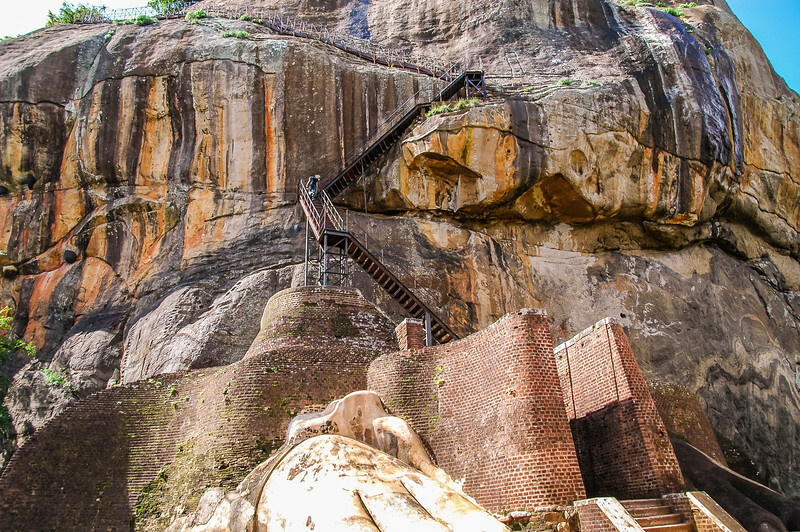 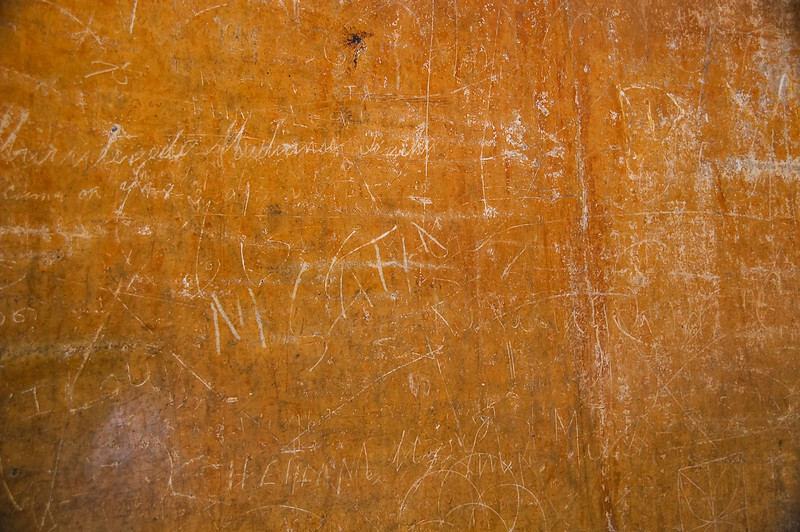 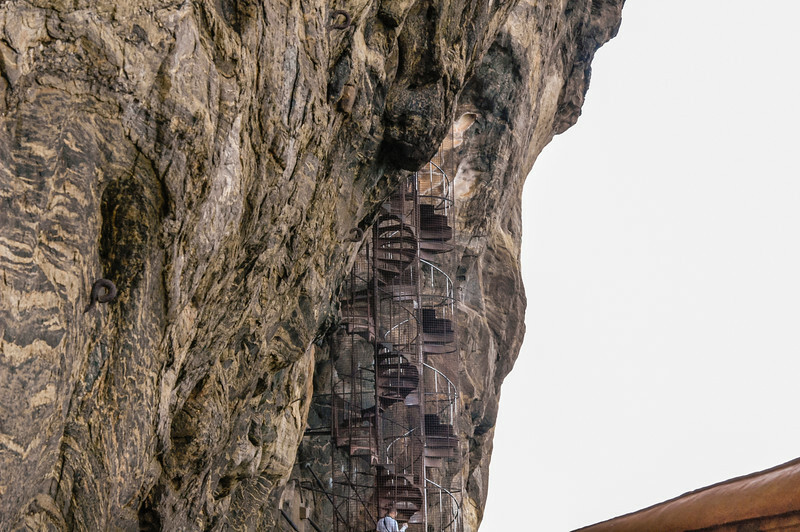 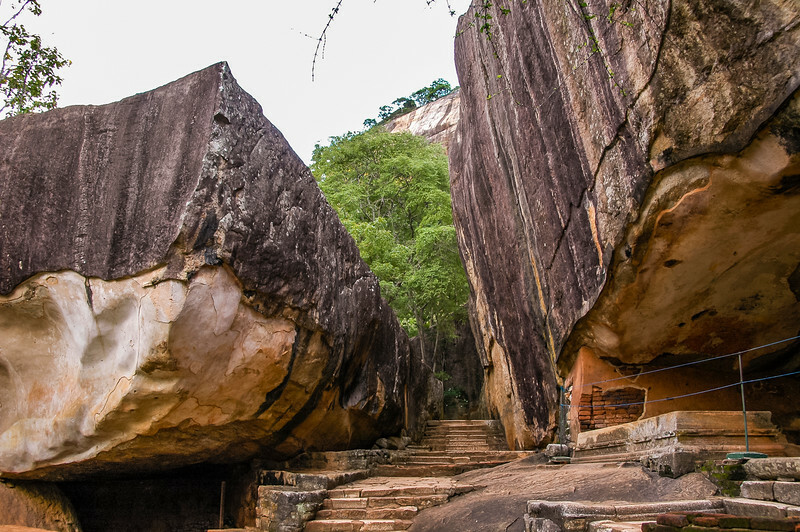 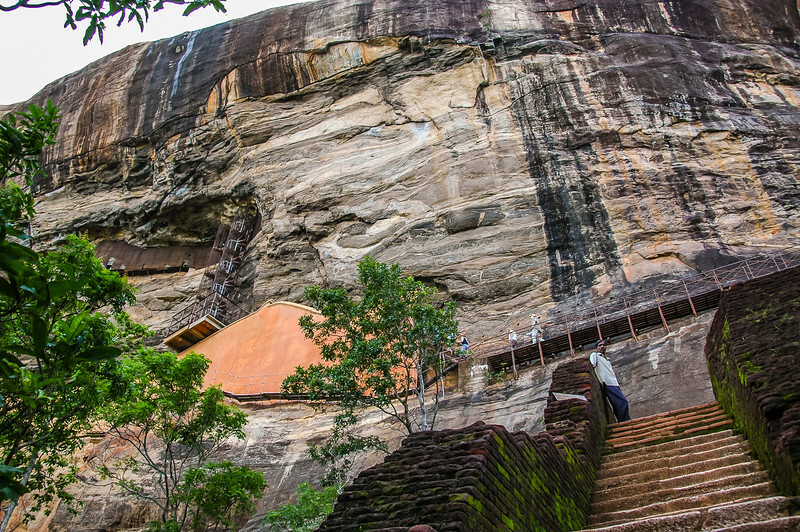 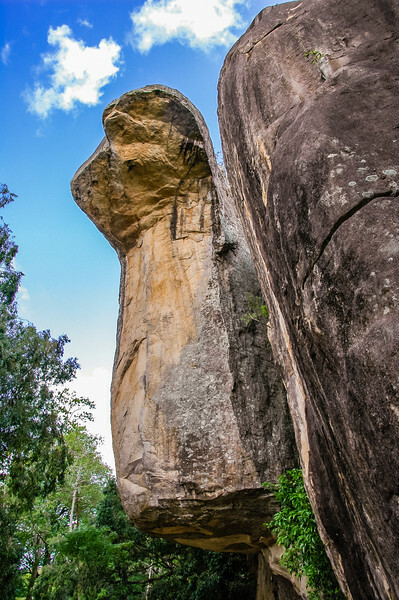 Post Kaspiya, the Lion Rock, or Lion Mountain, became a Buddhist monastery until about the 13th or 14th century. 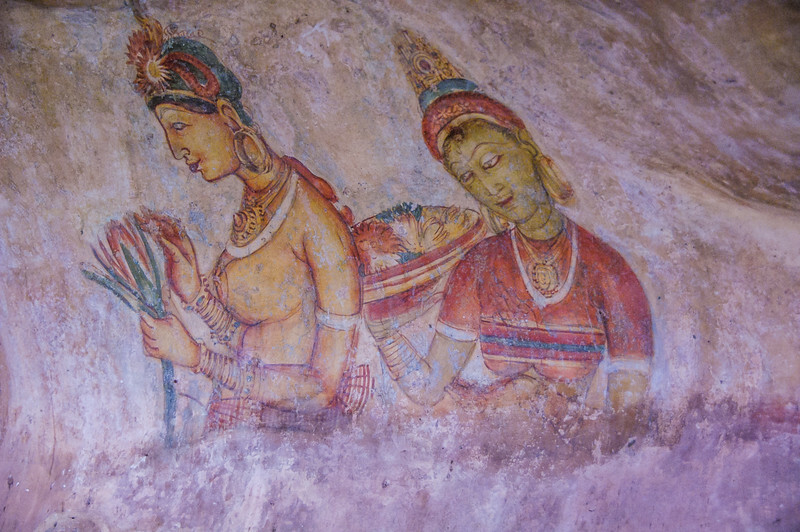 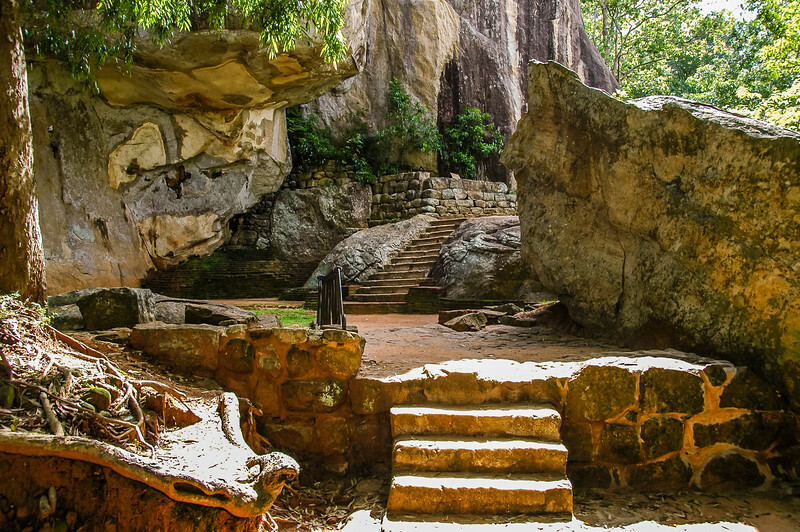 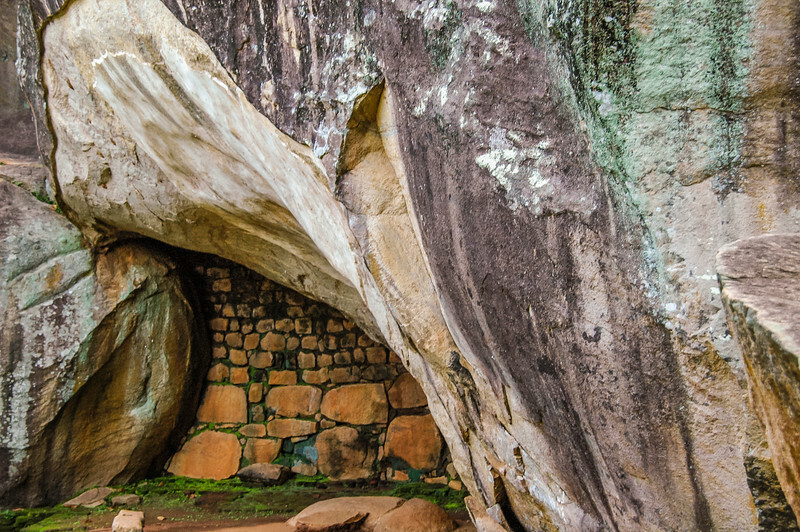 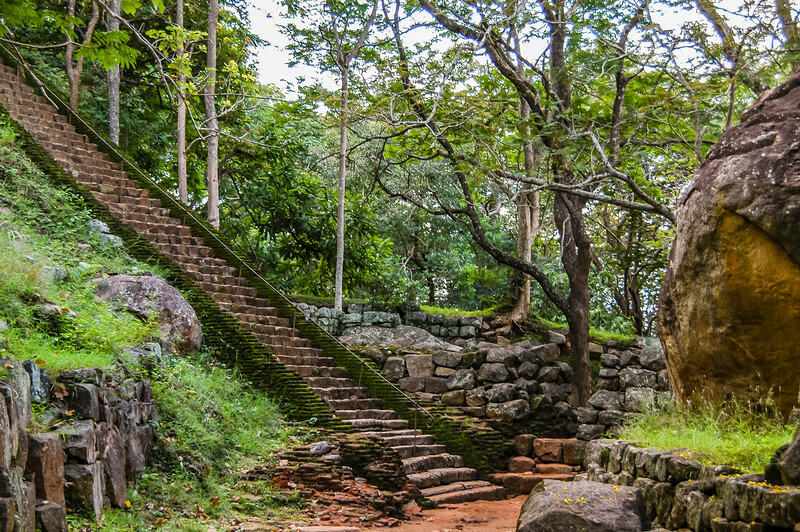 Later in the 16th century it becomes an outpost for the King of Kandy.